Though WordPress is incredibly flexible and offers loads of features, there is still a lot of room to improve basic and critical functionality, and the best way to do so is with utility plugins. With thousands of options available, however, it can be quite difficult sorting the good from the not so good. In addition, you need to be very selective when deciding on what kinds of plugins you want to use because each plugin added to your site can decrease the load speed of your pages. 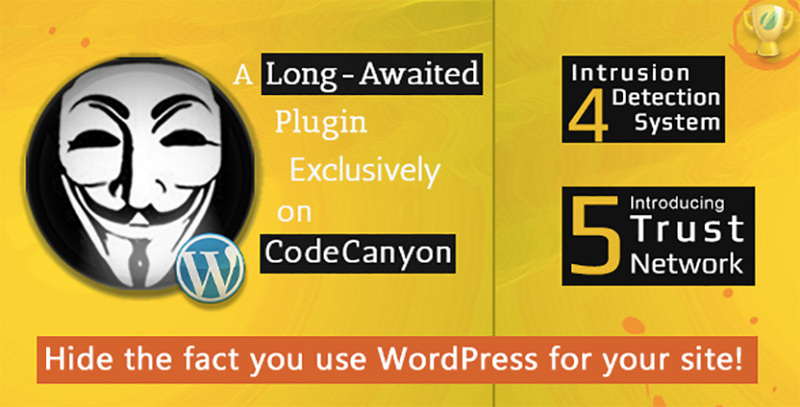 More plugins also increase the likelihood of scripting conflicts. With all these issues in mind, I’ve compiled a list of 20 essential WordPress utility plugins available at CodeCanyon to help take your site from good to great. 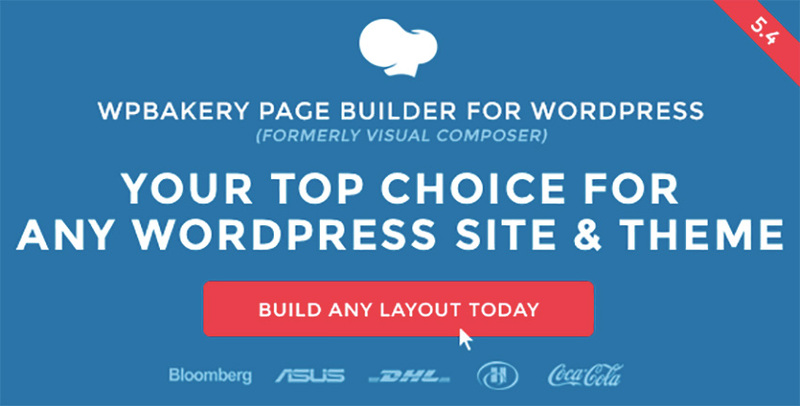 WPBakery Page Builder for WordPress, formerly Visual Composer, is an easy-to-use drag-and-drop page builder that will help you create any layout you desire quickly and easily. The page builder comes bundled with two types of editors, a front-end editor and a back-end editor, so that you can use your preferred method of working. 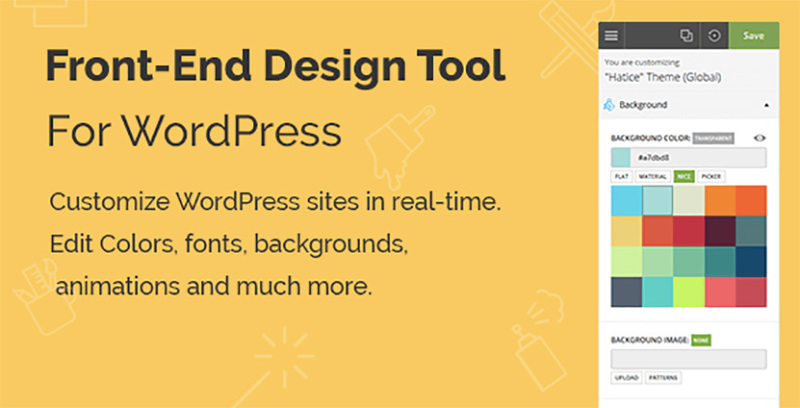 That means you can create your WordPress website with the back-end schematic editor or move your page building process to the front end and see your results live. Yellow Pencil is a WordPress CSS style editor plugin which allows you to customise any theme quickly and easily by editing it in real time. All you need to do is click on an element you want to modify, start changing its features visually, and Yellow Pencil will create the required CSS style codes in the background for you. The plugin provides over 50 style properties to help you modify your site. Ever dreamed of having a robot that could blog for you at any time of the day or night? Well, Scrapes have heard your prayers. 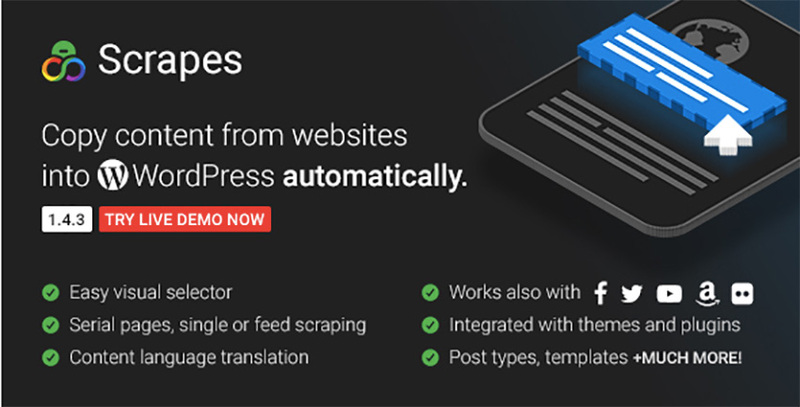 The plugin automatically copies content from any area of the web you choose straight to your WordPress website, in effect creating a system of auto-blogging for you. You can program the plugin to copy content once or at chosen time intervals from a single webpage or from several pages. It can copy content as varied as weather forecasts, the latest news items, blog and magazine posts, and videos. Hide My WP is a security plugin that hides the fact you’re using WordPress on your site, which allows you to fly under the radar of attackers that target WordPress sites. In addition, their Intrusion Detection system automatically monitors the site and finds potentially dangerous requests. It then provides you with all details of the attacker like who they are, where they’re located, how they’re trying to hack your site, etc., and suggests whether they should be blocked or not. 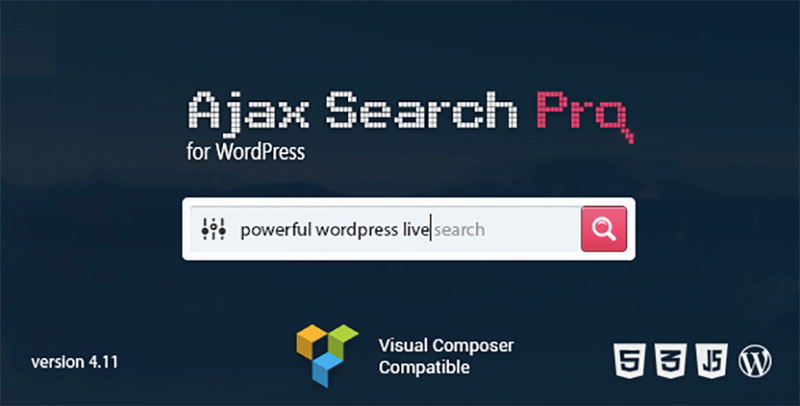 If you’re looking for a better search function than the native one WordPress provides, check out Ajax Search Pro. It's a live search engine plugin for WordPress that provides users with customisable front-end settings. For example, by checking different boxes, the user can change the behaviour of the plugin to look for exact matches, include or exclude certain post types, categories, etc. 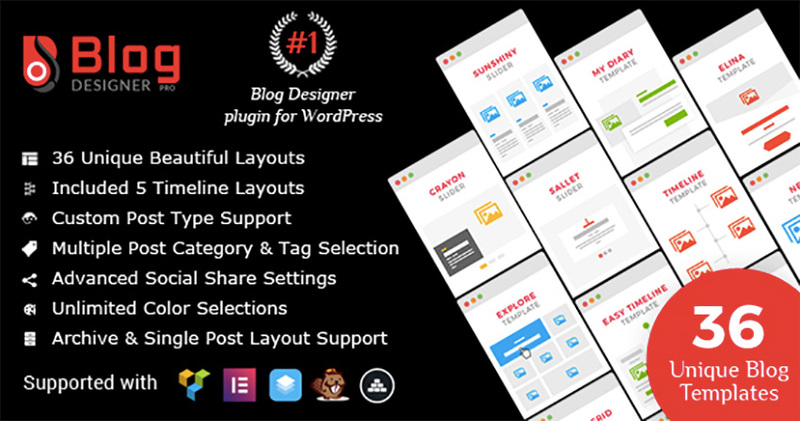 If you’ve ever dreamed of designing your own blog but don’t have the necessary coding skills, Blog Designer PRO for WordPress may be the answer. Unlike the average blog template, the plugin comes with 36 templates, all of which you can customise extensively to suit your own design aesthetic. Using maps on your website is a great way to integrate content with location, and the Interactive World Maps plugin is an ideal choice for doing so. 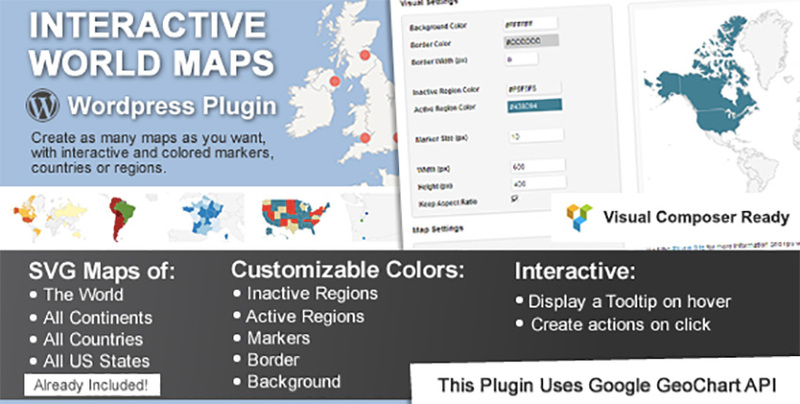 The plugin allows you to include maps in posts, pages, and even in the sidebar of your site. You can choose to use a map of the entire world, a continent, a country, a region, or a city. You can also add active colour regions to the map and display them in two different ways, as regions and as markers. If the Interactive World Maps above isn’t quite what you were looking for, then Advanced Google Maps Plugin for WordPress offers another viable option. This is a great plugin for displaying multiple posts, pages or custom posts on a single Google map. You can assign a location to your post easily using the meta box or your own custom fields. display posts information like title, content, featured image, categories, etc. 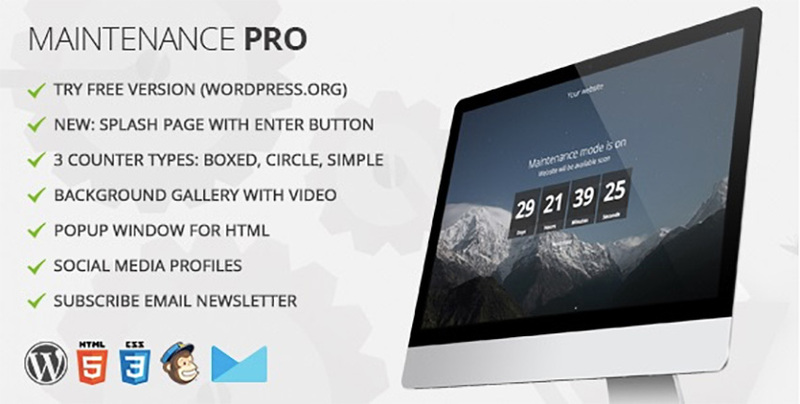 Maintenance PRO is the big brother of the popular and free Maintenance WordPress plugin. The pro version does everything the basic version does but takes its functions to a whole new level. This is a handy plugin to use when developing a new site as it provides you with a customisable maintenance mode splash page so that you can give visitors a taste of what they can be looking forward to when your site is up and running. Maintenance Pro is also great for when you’re making significant changes to your existing site and need to take it offline for a period of time. One of the plugin's standout features is that it allows you to add email subscription fields so you can start collecting email subscriptions even before your site is completed. 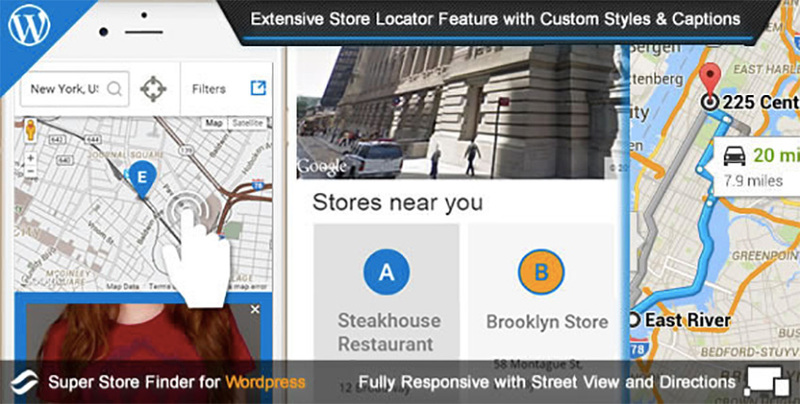 Super Store Finder for WordPress is a great plugin for businesses who want to help their website visitors and potential customers find their stores easily and quickly. The plugin is integrated with Google Maps API v3 and has a fully responsive design for smartphones, tablets, and touch-screen devices. Ajax Translator Revolution WordPress Plugin is quite simply an automatic WordPress translation plugin that allows your visitors to view your website in their preferred language in a matter of seconds. The translation bar sits at the top of the website by default, but you can use the custom positioning settings to place it wherever you want. The plugin can translate as many as 91 languages and remembers a visitor’s selected language. Cornerstone is a front-end WordPress page builder that allows you to see the changes you make to your site in real time as you build it. One of the great features of this plugin is Skeleton Mode, which allows you to see the underlying structure of your entire page without leaving the front-end interface. 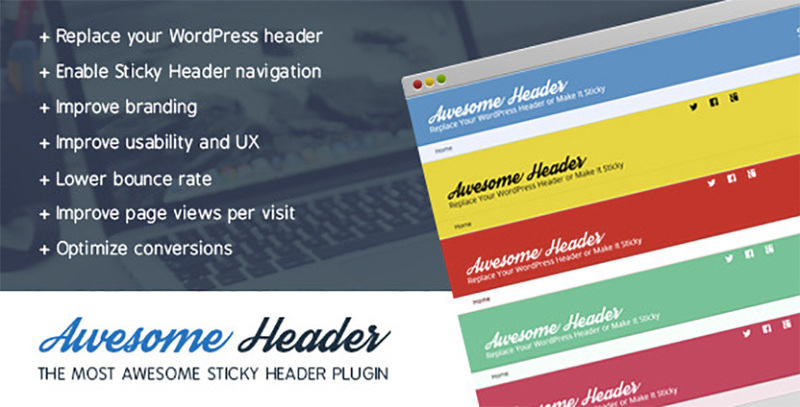 Use the Awesome Header plugin to create sticky navigation and/or replace your WordPress header entirely. This highly customisable plugin enables you to have up to three layers of navigation and unlimited colour choices, and it's very easy to configure and use. 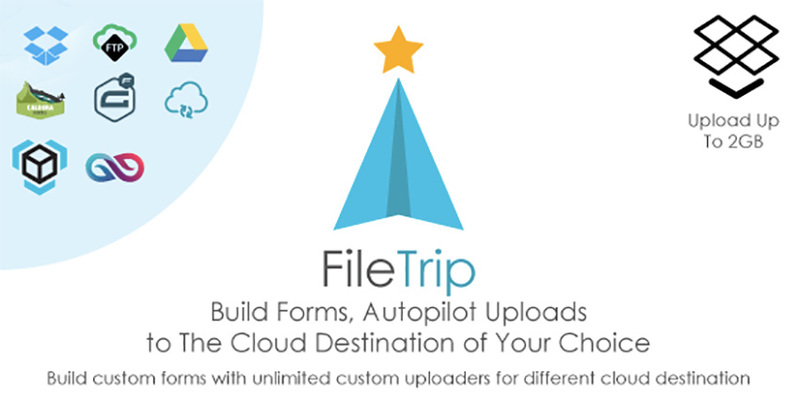 The Filetrip plugin makes it easy to distribute files directly from your WordPress site as it allows your website visitors and clients to easily download any digital file from your website to Dropbox, Google Drive, or another cloud service. You can also program the plugin to automatically send copies of files uploaded by users to multiple destinations. 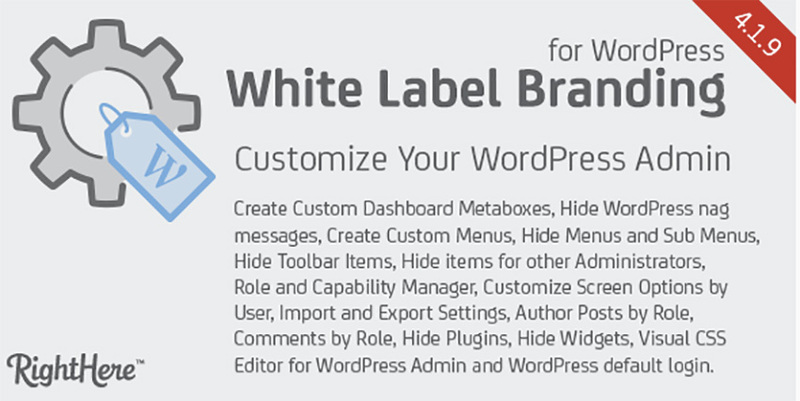 White Label Branding for WordPress allows developers more latitude in customising WordPress menus. The plugin allows you to customise the WordPress admin and the login screen and add a Role and Capability Manager, which allows you to create new user roles and assign capabilities and decide who has access to what features of the site. 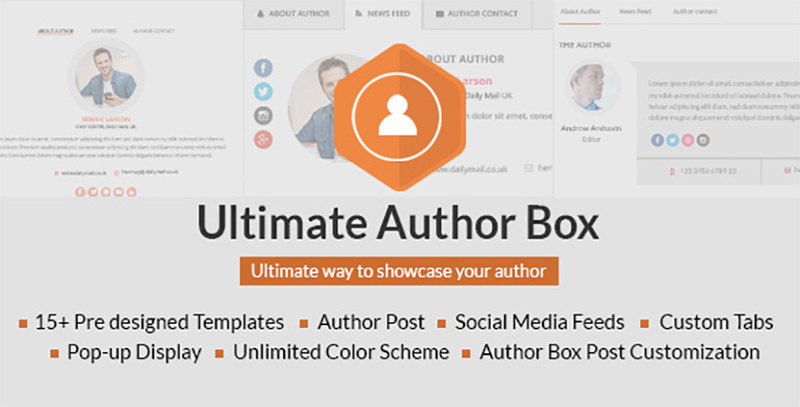 The Ultimate Author Box plugin is a great way to celebrate the authors who write for your blog. The plugin allows you to add an author box to each post to identify the author and provide additional information about them. You can add extra tabs to highlight the author’s other posts, social feeds, or other custom content like a contact form. The plugin comes with over 19 predesigned author box templates. 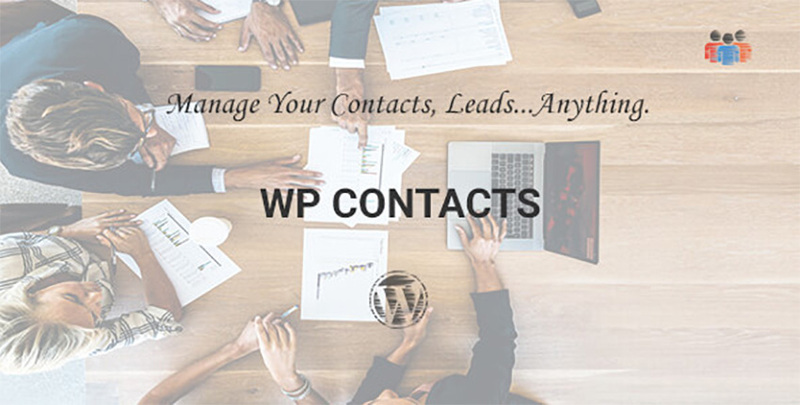 Use WP Contacts to manage, log, track and share your contacts on any page of your site you choose. The plugin facilitates front-end login, and the contact database is highly customisable. 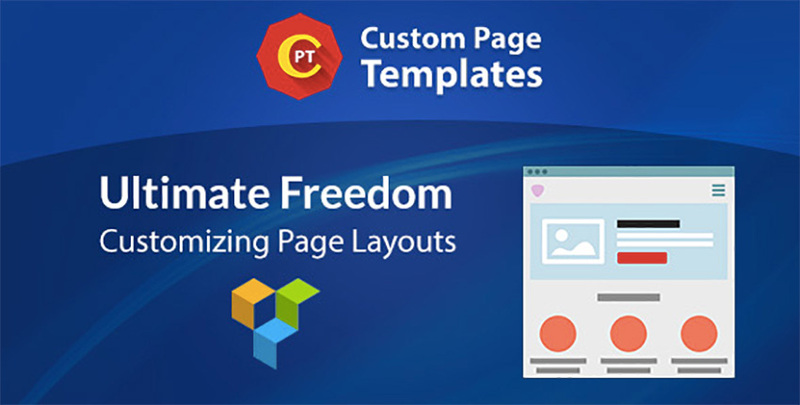 Custom Page Templates allows you to override your theme design and create a unique page template for your WordPress website. The plugin has an enormous amount of flexibility and gives you complete freedom to control precisely where and when your changes will be applied. support for popular plugins like Visual Composer, WooCommerce, etc. Want to share photos, videos, or other files with your customers, clients, friends, and fans directly from your website without eating up your bandwidth? 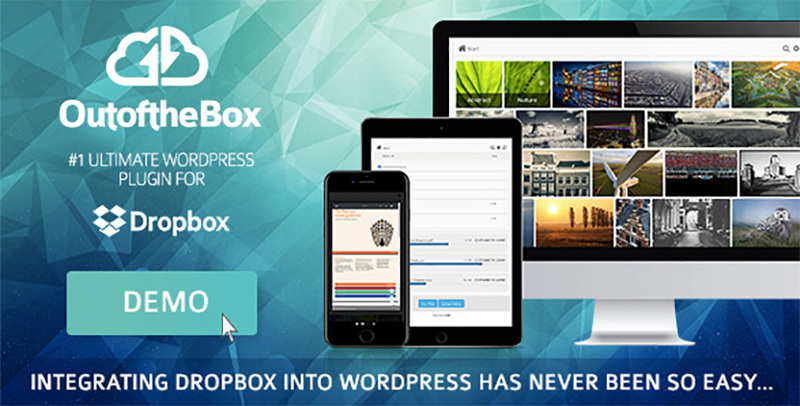 Say hello to Out-of-the-Box, a Dropbox integration plugin for WordPress that allows you to display your Dropbox files on your website. This responsive plugin is also multilingual ready. Reviewer WordPress Plugin offers you a great way for visitors, customers and clients to leave reviews on your site. What’s more, the plugin also allows you to add comparison tables inside your WordPress blog posts, pages, and custom posts. Reviewer WordPress plugin offers a good range of customisable themes so that you can adapt your reviews and comparison tables to fit your site, and each theme has a responsive layout to adapt to any devices. “Reviewer plugin is a nice tool to add customer reviews to your WordPress website. It's easy to set up and has good review management options. A special word for the customer support: I ran into a plugin compatibility issue and the author was available within a short time to help and fix it." These 20 plugins just scratch the surface of page layout plugins available at Envato Market. So if none of them catch your fancy, there are plenty of other great options there to hold your interest.